SAMSAR is derivative from the Sanskrit (official language in India) word Saṃsāra which is the repeating cycle of birth, life, death, and re-birth. It is also used to describe one’s actions and consequences in the past, present, and future in Hinduism, Buddhism, Bon, Jainism, Taoism, and Sikhism. 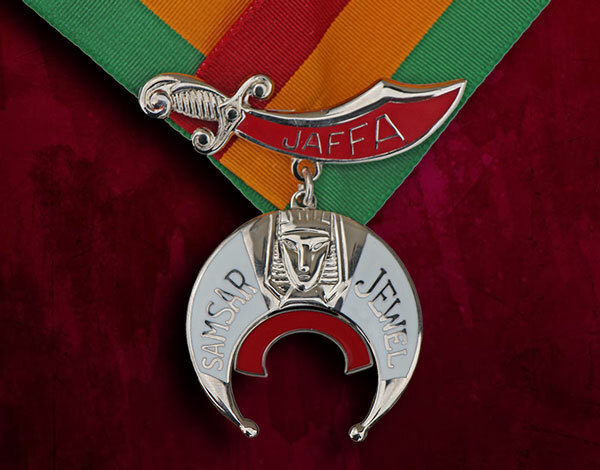 The SAMSAR award was established to encourage membership in our fraternity. 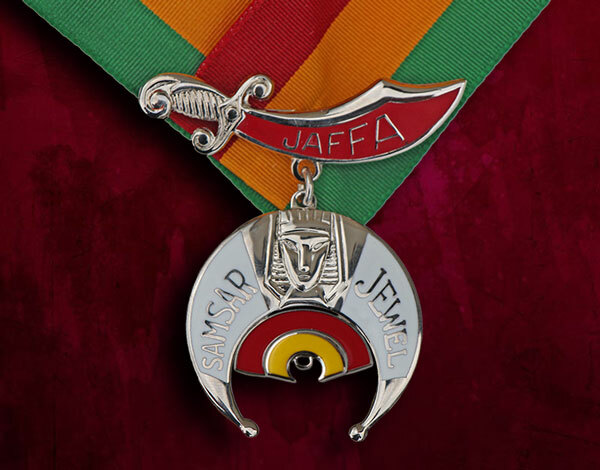 These awards are presented to nobles who have been active in recruiting new members for Jaffa Temple. 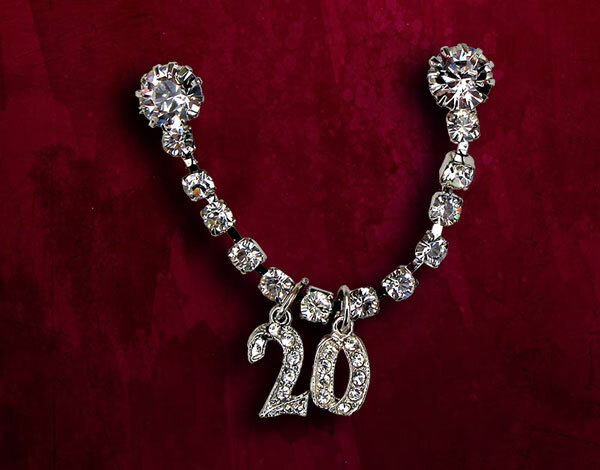 Awards are based on points accumulated over a period of years. 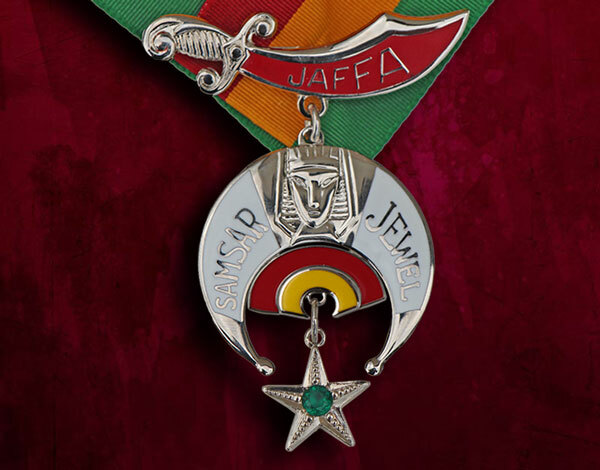 In order to become a member of Jaffa, a petition for membership must be completed, along with two signatures of current members. One is called a top line signer and the other a second line signer. You receive SAMSAR points based on being a top line or a second line signer. In addition to accumulating points towards your SAMSAR jewel and attachments, you can receive symbols representing the number of petitions you have signed. 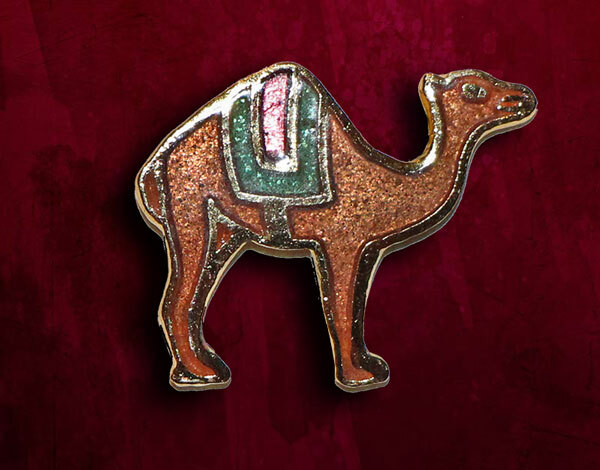 For your first petition that you signed on the top line, you received 75 points toward your SAMSAR jewel plus a CAMEL lapel pin. For your second petition, you will receive a TASSLE holder for your fez and a jeweled numeral 2 to attach to this tassel holder, representing the fact you were a top line signer on 2 petitions. For each additional shrine petition that you sign on the top line, you received a jeweled numeral representing the number of petitions that you have signed.